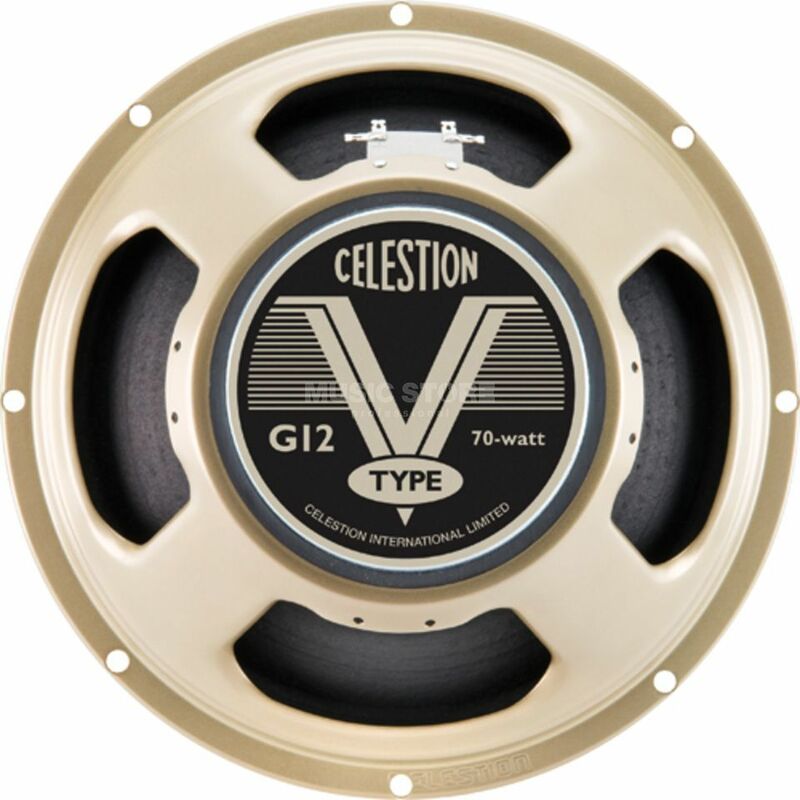 The Celestion V-Type 12" Speaker is a professional standard 60 Watt guitar amplifier speaker. Expertly engineered using exceptional components, this classic speaker delivers a rich and full sound, making it ideal for both clean and raw, overdriven sounds; perfect as a spare speaker or for amp refurbishments. Combining decades of experience with advanced measurement and analysis, the V-Type has been built using a carefully balanced 'recipe' of old and new design techniques. It produces a heady, exciting modern vintage sound that just makes you want to keep on playing: a speaker that delivers authentic Celestion tone whatever your style. The V-type is a sweet sounding speaker with a superbly balanced tonal signature that imparts a vintage musicality to your tone. Clean sounds are true across the lows, mids and highs, with just enough upper-mid chime and HF sparkle to add clarity and definition. Crank it up for a sizzling overdrive and raw rock tones, with plenty of mid-band warmth to give body and substance to lead note playing. I was looking for a speaker which has all the characteristics like the V30 but with less mids. The V-type was just the perfect choice.Its a great sounding speaker and it costs less then the V30! I find it more alive and the guitars sound became fresh and fluent. Just go for it, you wont regret it. Its also great in a 2x12 cab with a different but similar power rating speaker.